These terms and conditions apply to your access to, and participation in the Chatime Australia Loyal-Tea membership program (Program) which is operated by Chatime Australia Pty Ltd (Chatime). For the avoidance of doubt, these terms and conditions apply to both the Chatime Australia Loyal-Tea membership card (Chatime membership card) and the Chatime Australia mobile application (Chatime mobile app). By providing your details and verifying your email account and/or using your Chatime membership card and/or by downloading and/or using the Chatime mobile app, you agree to these terms and conditions and to any changes or modifications made to them from time to time. Individuals can become Chatime Australia Loyal-Tea members (Members) by either purchasing a Chatime membership card from a participating Chatime T-Brewery, registering their details on the Chatime website www.chatime.com.au and then activating their Chatime membership card or by downloading the Chatime mobile app and following the prompts to register and activate the app. Only a verified member can redeem Chatime Australia Loyal-Tea Membership Points (Points). To become a verified member, you must verify your email address by clicking on the email sent to you. Once the member has been verified, a Chatime Australia Loyal-Tea account (Account) will be created for the Member. Members who initially become a Member by purchasing a Chatime membership card from a participating Chatime T-Brewery and then registering and activating the card, will also be able to activate the Chatime mobile app and associate their Chatime membership card during the registration process. Members can then use either the virtual card on the Chatime mobile app or the physical Chatime membership card to purchase beverages and accrue or redeem Points. The Chatime membership card purchased from a participating Chatime T-Brewery is only valid for use in Australia and can be purchased for $0.50 from any participating Chatime T-Brewery. The Chatime membership card is issued by and remains the property of Chatime . There is a strict limit of one Account per person. Each Account requires an independent email address that needs to be verified. A Member’s Account may only be used by the verified Member. Multiple individuals cannot share one Member’s Points. 2.1 Points can only be earned at the point of purchase in Australia provided that the Chatime membership card or Chatime mobile app barcode associated with a verified Account is scanned at the time of purchase. 2.2 Members cannot claim Points from past transactions or receipts. 2.3 Points are earned as follows: for every $1 you spend at Chatime, you will earn 10 Points. For example, a $5.20 purchase will result in 52 Points on your receipt. To redeem a $5.20 Chatime tea, you will need 520 Points. 2.4 Points and rewards under the Program cannot be exchanged for cash and are not transferable or refundable. Points accrued in multiple Accounts cannot be combined. 2.5 Points cannot be used to discount the price of a beverage. 2.6 Points cannot be earned in conjunction with any other offer or discount. 2.7 Members can check their Points balance at any time through their Chatime mobile app or by logging into their Account on the Chatime website www.chatime.com.au . 2.8 When redeeming Points at a Chatime T-Brewery, Members are required to have sufficient Points to redeem against the full value of the drink using Points alone. Chatime Australia Loyal-Tea Membership benefits and discounts are available and Points are redeemed by presenting a valid Chatime membership card or by scanning the Chatime mobile app associated with a verified Account at the time of purchase. 2.9 Chatime membership cards must be registered and verified to redeem a FREE Chatime tea or Birthday offer. 3.1. From 4th December 2017, eligible Members are entitled to one complimentary Chatime tea (any size), from our standard permanent menu, with one mix-in during the month of their birthday. Verified Members who have made a full price purchase within 3 months prior to the start of their birthday month or who transact during their birthday month will be eligible for the complimentary birthday tea. 3.2. Eligible Members will be sent an email with a barcode for the complimentary birthday tea offer. The email will either be sent out on the 1st day of their birthday month if they qualified for the offer within 3 months prior to the start of their birthday month, or if they qualify during their birthday month, the email will be sent out the next business day after they qualify. In both instances, the offer must be redeemed within 30 days of receipt of the email. For example, if the Member’s birthday is on the 21st March and they qualified for the offer in February, they will be sent the email on the 1st of March and will have until the 31st of March to redeem the offer. If, however, the Member qualified for the offer on the 22nd of March, the Member will receive the email on the 23rd of March and the Member will then have until the 23rd of April to redeem the offer. 3.3. A verified Chatime membership card plus photo identification must be presented at the time of redemption to confirm identity and birth date registered on their Account. This offer cannot be redeemed outside of the above period, regardless of circumstances beyond the members’ control, including but not limited to T-Brewery closure, public holidays etc. 3.4. The complimentary Chatime birthday tea is non-transferable and cannot be exchanged or taken as cash. Chatime takes no responsibility for incorrect dates being entered during the registration process. 3.5. A verified Member can join the program in the month of their birthday and a birthday tea will be rewarded as long as the meet the above criteria. 3.6. The Birthday free drink offer can only be redeemed once during your birthday month. 3.7 In order to be eligible to receive the complimentary Birthday free drink, the Member must be registered to receive marketing materials from Chatime by opting in to receive such marketing communications. 4.1. Chatime accepts no responsibility for the loss, theft or destruction of your Chatime membership card. 4.2. A fee of $0.50 is payable if a replacement membership card is requested. 4.3. Upon request, Points from the lost/stolen card can be transferred to the new card. To transfer the Points, Members must provide Chatime with their previous membership number. While Chatime will make every effort to ensure that the full Points balance is transferred to the new card, Chatime will not be responsible for any Points lost prior to the transfer. 5.1. The Chatime membership card holder is responsible for ensuring that their details are correct at all times. It is each Member’s responsibility to ensure that the correct number of Points has been added or deducted for each eligible transaction. 5.2. Chatime reserves the right to communicate with its members, who have opted in to receive marketing material, to inform them of any upcoming marketing activities/promotions and/or offers. 6.1. Reproduction of a Chatime membership card in any form is strictly prohibited. Your Points, benefits, registered Chatime membership card and your Account are personal to you, and except as expressly permitted under these terms and conditions or the rules of a promotional program, may not be sold, transferred or assigned to, or shared with family, friends or others. 6.2. 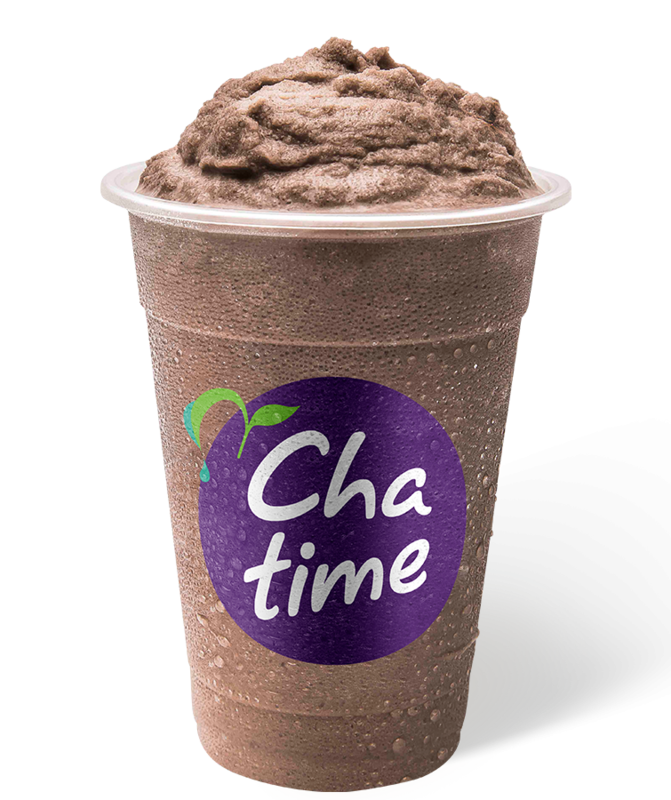 Chatime reserves the right to terminate your Account/membership and/or your participation in the Program if Chatime determines in its sole discretion that you have violated these terms and conditions or that the use of your Account is unauthorised, fraudulent or otherwise unlawful. 6.3. Chatime reserves the right to change or modify these terms and conditions at any time without prior notice. Any changes or modifications will be effective immediately upon posting the revisions and you waive any right you may have to receive specific notice of such changes or modifications. This Chatime Loyal-Tea membership page is intended to provide a general overview of activities of your Chatime Australia Loyal-Tea account and is made available to the public for reference and informational purposes exclusively. Chatime has used its reasonable efforts to provide current, complete and error-free information, but makes no representations nor gives any warranty as to the currency, completeness, accuracy or correctness of any of the information contained herein.